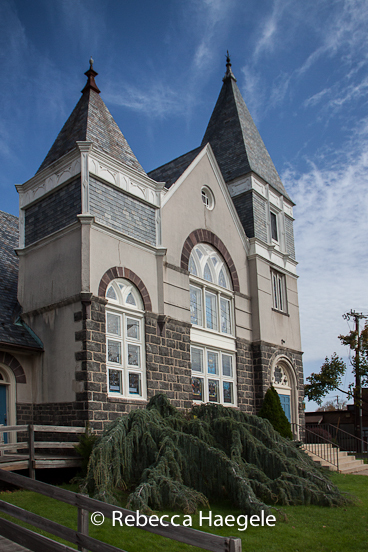 This church seems to have embraced the color blue. Blue, the color of success. Just like #36, I feel like I was just at your son's exhilarating soccer game. Phew! Love soccer! 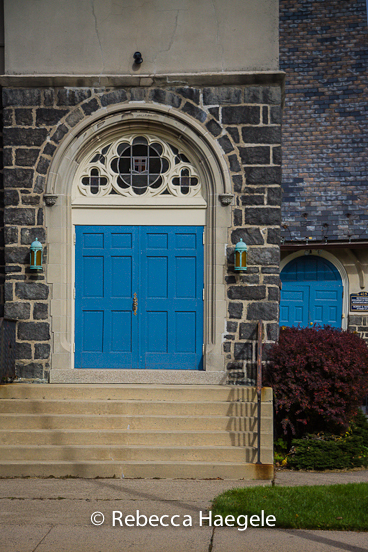 I have seen plenty of red doors on churches but not so many blue ones. Hi, my first time here. I've also loved colorful portals, and blues are so serenely peaceful. thanks for hosting this meme. I love that round window about the door! Can't recall ever seeing blue church doors before. Entering into heaven...? Those blue doors really set that church off nicely, Rebecca. I wonder if the church right at first had blue doors?